What are some terrific ways to make your loyal customers keep coming back with more cases? Is social media worthwhile? What should you be aware of when hiring an employee? Those sound like diverse topics for a podcast – no matter where you are in your LNC journey you’ll find a tidbit or more in this podcast. For this show I am sharing an interview I did with Dr. Gayle Carson. You’ll hear from her next. 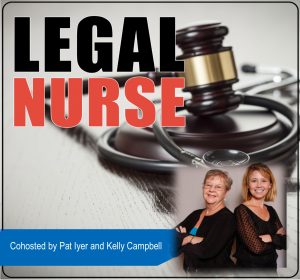 Listen in as Pat Iyer chats with Gayle Carson about these points. How much time should people spend on social media? 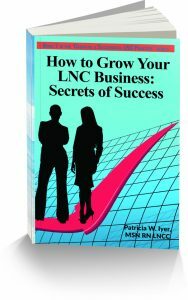 She provides coaching for a select group of LNC business owners ready to develop their successful businesses.